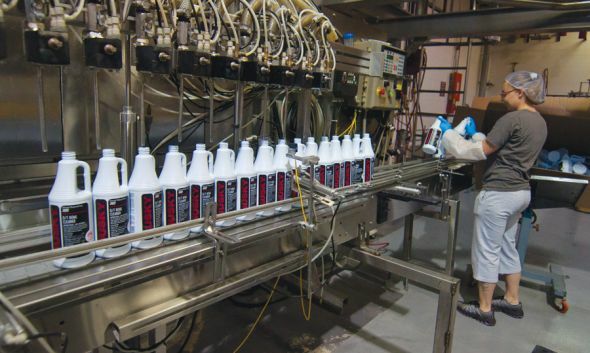 Our manufacturing capacity and expertise with a wide array of cleaning solutions have made us a leading contract packaging manufacturer to the cleaning chemicals industry. From simply providing the production capacity to fill and package your overflow production requirements to providing full service operations that may include sourcing, blending, and packaging, we will meet your contract packaging specifications. Canberra provides contract packaging to a range of customers, from large international companies with national brand products to small private brands. For more information regarding our contract packaging and filling capabilities, please contact us at 419-841-6616 or email info@canberracorp.com.